Revolutionary Concepts has given their lovingly-crafted iOS port of the classic fighting game Karate Champ ($2.99) a new update which adds support for Retina Display graphics, 4-inch wide screens, and iOS 7. 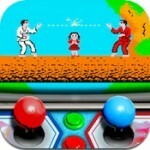 The original Karate Champ launched in arcades back in 1984, and was one of the forefathers to the fighting game genre. It’s not your typical fighting game though, with health bars and crazy special moves. Rather, it’s a much more tactical affair more akin to an actual karate competition. The iOS version was recreated with an incredible attention to detail back in 2010, and we really enjoyed being able to carry around this classic in our pocket. The game has been stagnant since then though, so it’s refreshing to see it still getting some love after all this time. 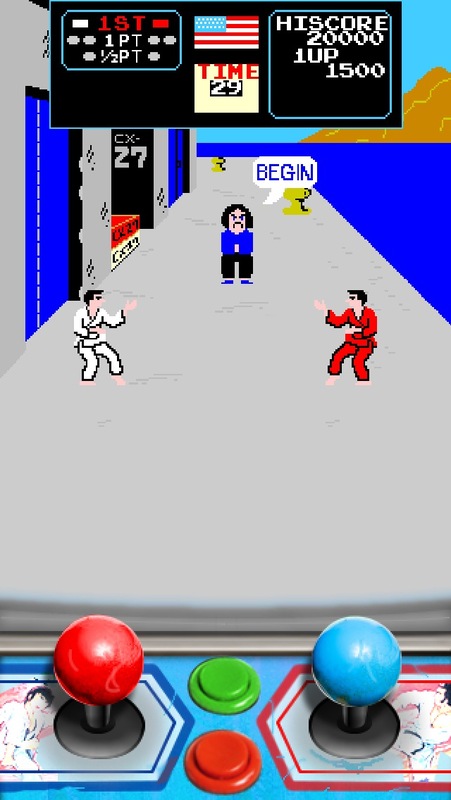 Here’s a couple comparison screens so you can see Karate Champ in its previous blurry form and its new high resolution, widescreen updated form. My one complaint, and I feel bad about complaining at all about such a pleasantly surprising update, is that the joysticks and faux arcade machine are not in high resolution, and compared to the crispness of the actual game portion it really sticks out. I remember the painstaking lengths Revolutionary Concepts went to to draw the joysticks just right, so it might not be such an easy feat to redraw them all over again in high-res. Anyway, the rest of the game looks just great, and is just as difficult as it ever was. 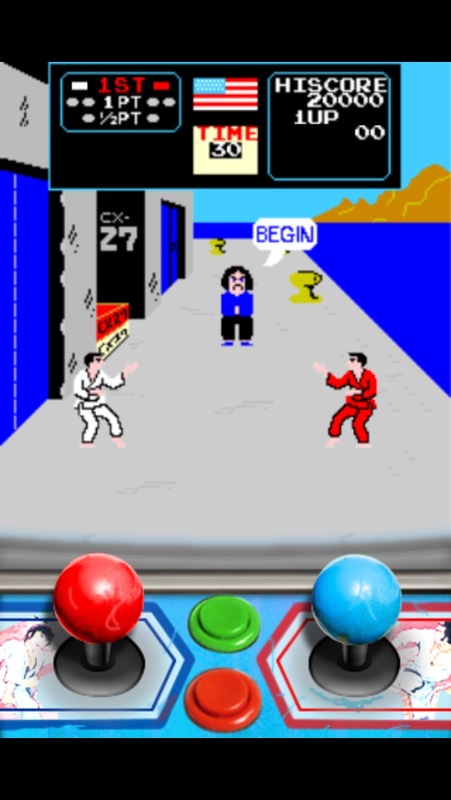 A similar update is in the pipes for the iPad version Karate Champ XL ($4.99) which has an awesome same-device two player mode, so keep an eye out for that, but if you’re an iOS Karate Champ fan that felt like the game had been left behind, check out this new refreshed version.